Go forward in time to February 2008. 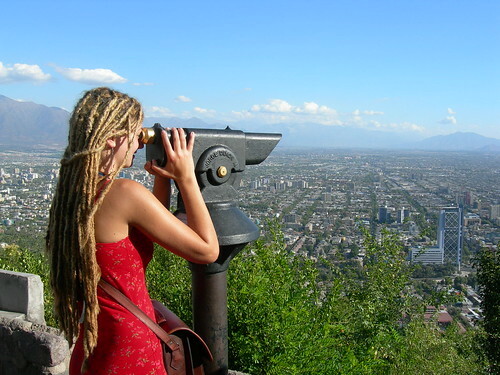 Now that I'm living in Santiago again, I'm enjoying again the beauty of the cultural life here. This is one of the things I was missing the most while I lived in Curicó, where there are really few cultural activities and the quality of them is not really the best. Jazz: Mauri, Moisés and I attended one of the days of the the Semana Jazz in Las Condes, where Cristián Cuturrufo played some classics. As a little surprise to the audience, Alvaro Henriquez joined and sang a tune. Also attended two of the three days of the Festival de Jazz Providencia '08. I'm not really happy with the level of the guest artists, but at least Ravi Coltrane was pretty cool. Not that he is as virtuous as his father, but at least he plays well, and the musicians who played with him, specially the pianist, were really talented. Unfortunately, I missed the presentation by Dave Holland the last day, but I heard very good comments, and I have no doubts it must have been pretty good. Theatre: I saw two Chilean plays during the Santiago a Mil Festival: Fin del Eclipse, a nice play about theater inside theater, and H.P. (Hans Pozo), a play about one of the most thrilling murders of the last times in Chile. Music: Last week, the Orquesta Sinfónica de Chile performed Beethoven's 9th Symphony in D minor, Op. 125, "coral". We got tickets for the last row of the most apart section of the Teatro de la Universidad de Chile, but nevertheless, we enjoyed the symphony a lot. I had never attended a performance of the 9th and I can say that it's really an experience. And the best of all is that ticket prices here are very cheap and even some of them completely free! All the tickets I bought costed less than 5 €, which is a really good price for the quality of the events. It's so nice to be here! Today, I'm leaving to Valparaíso to spend the next days with Marie. I'll take the laptop with me to be able to proof read some chapters of my dissertation but won't use Internet at all and I won't even read my e-mail. Wohoo! Confirmed: Dream Theater will play in Santiago, on March 1st! An awesome new, and this time I won't miss it. On thursday, Marie, Betti, and Linda came to Santiago. I played the tourist guide for the n-th time, and took them to Cerro San Cristobal, had a nice evening (despite the jotes), and made a few pictures, as usual. 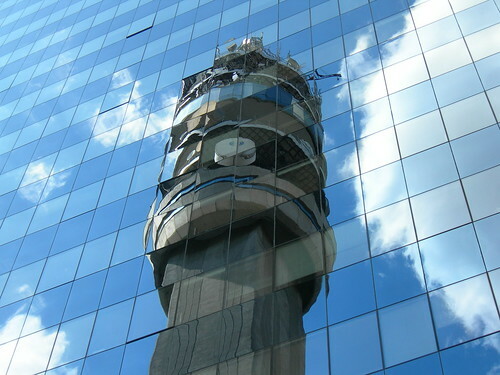 The typical reflection of the Torre Entel. Today I reached what I think it is the last milestone in the development of my dissertation's project. This means that now I'll devote most of my time redacting the core chapters, and only a few hours/week coding what's left. Eitherway, I need to	write some fancy tests to demonstrate what I achieved and draw the results of the work, but I feel that I got to the point where I can feel safe and sure that this will have a nice ending. Feel free to contact him and show him gratitude for his offer. Go backwards in time to December 2007.